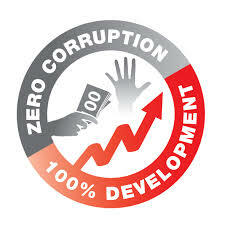 The corruption prevention component mandates the Commission to take necessary measures to prevent all forms of corruption in the country, with particular emphasis in public and private bodies. In particular, S. 10(1)(a) of the Act gives the Commission the mandate to examine the practices and procedures of public and private bodies in order to facilitate the discovery of corrupt practices and secure the revision of their methods of work or procedures which, in the opinion of the Commissioner, may be prone or conducive to corrupt practices. The Commission is also mandated to advise public and private bodies on the ways and means of preventing corrupt practices, and on changes in the practices. (d) A recommendation arising out of a Complaints Review Committee decision. A corruption risk assessment will then be proposed to the public or private body then the exercise will be undertaken. During the year under review, the Commission was entrusted with a responsibility by Government to conduct vetting for public bodies. The Commission has received several requests from Ministries for vetting of candidates nominated into public Boards. Vetting was then conducted and Ministries advised accordingly.